Monday, 17 December 2018, 8:30a.m. The home detention sentence given to 19-year-old Rouxle Le Roux, who killed a teenage boy in a drunken hit and run, meets legal standards because it was an "accident", a top lawyer says. Rouxle Le Roux was sentenced on Friday to 11 months' home detention and 250 hours' community service for the death of 15-year old Nathan Kraatskow. Nathan died in May when Le Roux, a learner driver, hit him at an intersection in Albany in north Auckland. Le Roux had drunk wine and smoked cannabis earlier in the day before her Mercedes crashed into Kraatskow as he crossed the intersection on a small bike. Nathan died at the scene. Le Roux and her two passengers failed to stop. Le Roux was sentenced in the Auckland District Court on Friday for dangerous driving causing death. Unhappy with the sentence, Nathan's mother Charlene Kraatskow started a petition on Change.org questioning the New Zealand justice system and calling on prosecutors to appeal Le Roux's sentence and seek a harsher penalty. The petition is nearing 100,000 supporters. However, criminal lawyer Steve Cullen told Mike Yardley the sentence meets the legal requirements. "It is within the parameters of what normally is applied in this kind of case." "Although it's an absolutely devastating thing to experience, the loss of a child can never be overcome, it's accidental. This is person... a very young person who is being punished for an accidental death caused on the side of the road." "My assessment would be that this is within parameters of available sentencing for this type of offence and this isn't a case where, even on appeal, there is a likelihood of her being imprisoned. "There's a range of factors taken into account by the judge, discounting factors for example, youth, early guilty pleas, expressions of remorse." Cullen said what has angered people is some of Le Roux's Instagram posts which appear to be making fun of the situation. 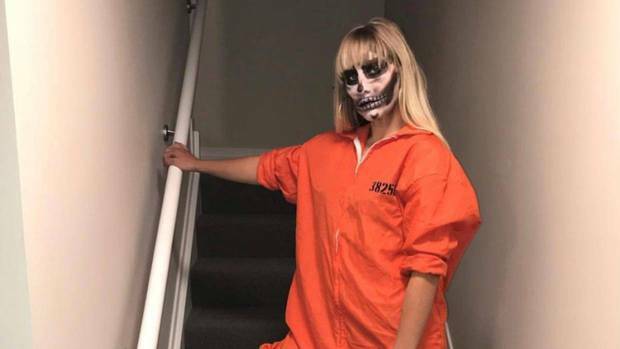 The posts included a Halloween post of Le Roux wearing an orange prison jumpsuit with the caption reading: "Hide your children". However, he said Le Roux provided an explanation to the judge for the post. "That was before the judge at the time and an explanation was given." "I certainly would have found it very distressing if I was the parent of a child who had been killed by an accidental death, there's no doubt about that. But it was a matter that the judge did take into account and we had a very experienced judge." He said the fact that she didn't stop would have been considered as well, but at the end of the day it was an accident. "The circumstances here, where you simply have an accident that occurs at an intersection and a panic stricken young person flees the scene." "One would have hoped that she had come back, that she had entered into rehabilitation programme and apologised but it [her fleeing] certainly is something that exacerbates the situation." However, Charlene Kraatskow is calling on prosecutors to appeal Le Roux's sentence and seek a harsher penalty. "I don't think taking someone's life and only getting 11 months' home detention is setting a very good precedent for the kids of today," she told the Herald. "They see they can smoke weed, get in a car drunk, drive and then can kill someone and get 11 months' home detention." People are also posting across social media about the perceived "privilege" involved in Le Roux's sentencing, compared to 21-year-old Broc Kawhena who was sentenced to four years' jail for a drunken hit and run in 2017. National is calling for a fresh look at sentencing for serious offending. National's Justice spokesperson Mark Mitchell told Newshub they felt like sentencing was "going in the wrong direction". "We feel like the risk is being transferred to the community, we feel like this is going to be a growing trend around very light sentences." Justice Minister Andrew Little disagrees. "All the laws we have in place are the laws we've had in place for a few years now, and judges have to be left to do their decision," he told Newshub.